Posted as part of the Weekly Travel Theme: Meeting Places. I’m not tall but still too big to fit in the tiny opening. ;( Better luck next time I guess! I was sure you woulda crawled in! 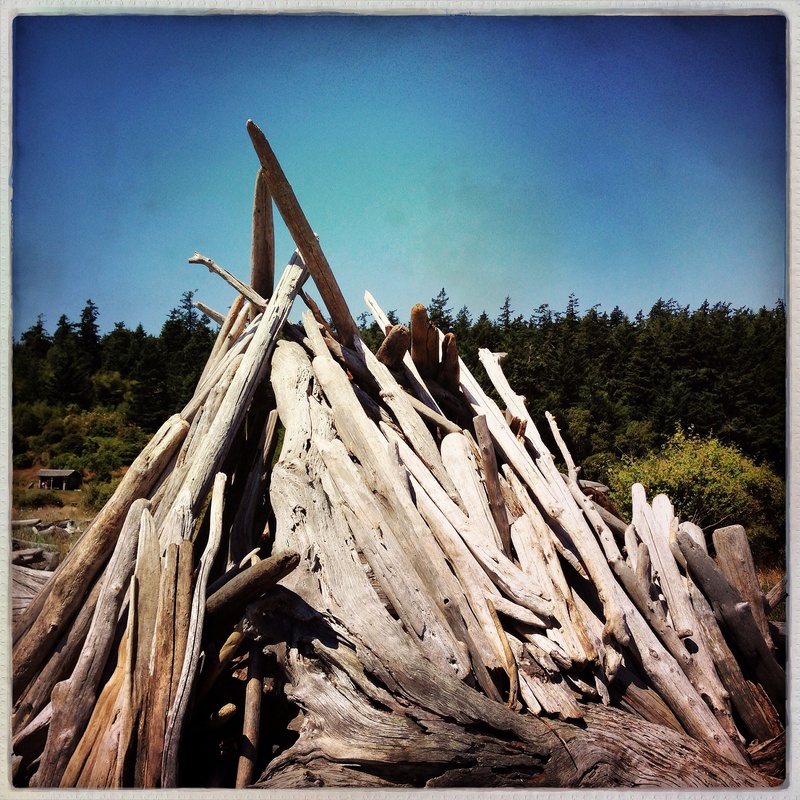 When we were on the Oregon coast I leafed through a book of driftwood forts.m very cool! My grandkids spend whole days building driftwood shack son the beach when they come to visit. Wonderful creations. Such a NW thing to do. Your grandkids must have the best time on the beach. That couldn’t have been easy. I’ve seen these on the Pacific Rim on Vancouver Island, one question, does anyone ever get injured building these? They look as though they could quite easily collapse. Saying that, if I was a kid I’d love to mess around with all that driftwood. I immediately thought of everyone meeting ’round the bonfire.